Hello lovelies! 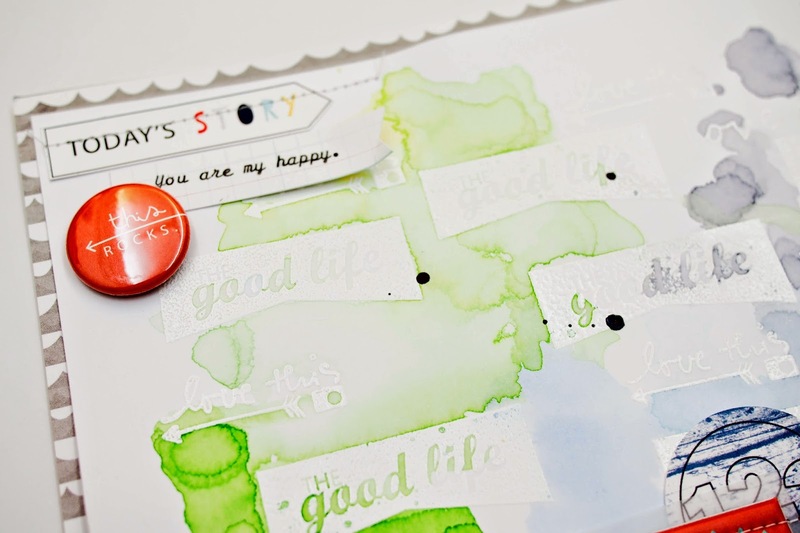 This is Sam to share another layout with you using a lot of Shop Evalicious stamps again. 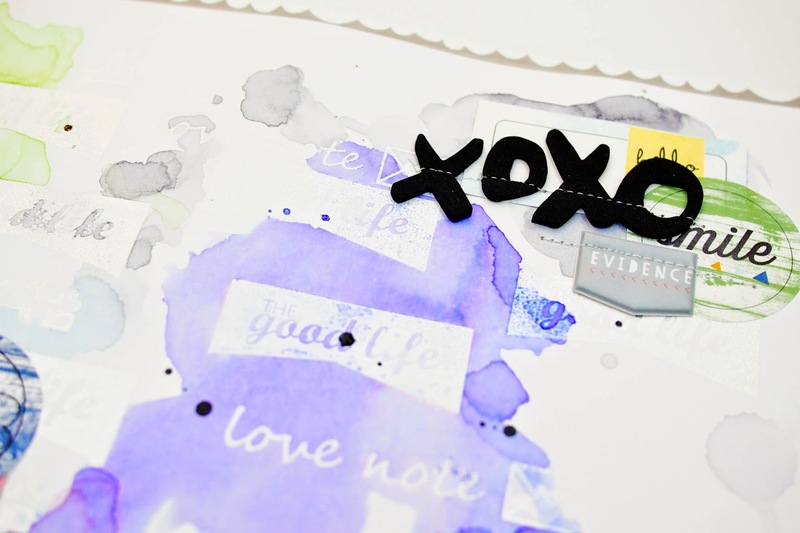 There is no secret that I love all the Evalicious stamps and always try to incorporate as many stamp as possible into my layouts. Before I started making my layouts, I decided to make some sequin pockets using some of the Evalicious stamp sets. To view my full tutorial on how to make sequin pockets, click here. They are so easy make that you can make a bunch of this under an hour or so. I heat embossed the stamp image using my heat gun and white embossing powder on a piece of white card stock. Then I wet the card stock and added Peerless Watercolor to create my own background. I am loving the subtle effect that the stamp imaged show through.